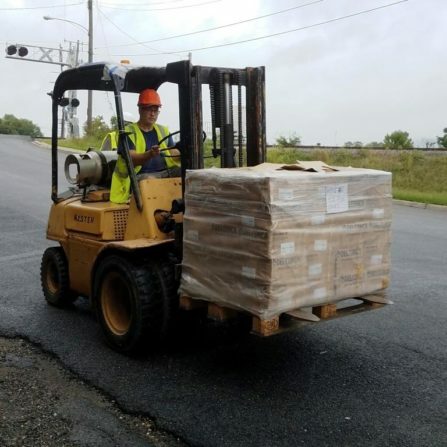 Community Forklift regularly receives donations of surplus tile and carpeting from generous business partners throughout the region. 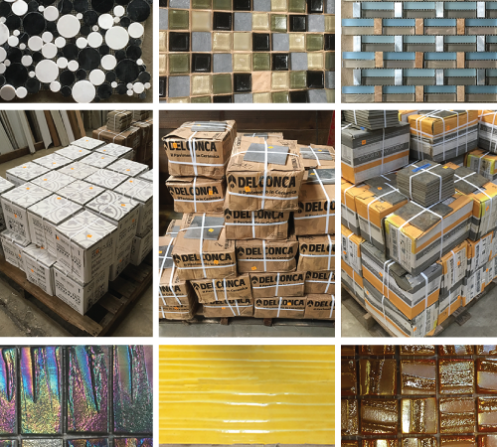 We recently picked up more than a dozen pallets of new designer tile, and are expecting 40 more pallets soon! We’ll be putting out new tile each week throughout the fall, and during October, you can take an additional 25% off the marked price. We have dichroic and metallic glass mosaic with bronze, gold, silver, and blue highlights as well as porcelain, marble, high traffic stoneware floor-tile, decorative and prints, and (literally) tons more! If you have a project you’ve been putting off, now is the time to stock up and get started. Just one of the many pallets of tile making their way to the floor this week. Please note: Some exclusions apply. Sale does not include loose (unbundled) tile; boxes and bundles that have been ripped open; select specialty items; carpet, wood, or other types of flooring. Flash sales do not include white tag items, items from our consignment partners, or online items. Items with missing or damaged price tags will not be sold. May not be combined with other sales. Our donations team also recently picked up a truck load of carpeting. 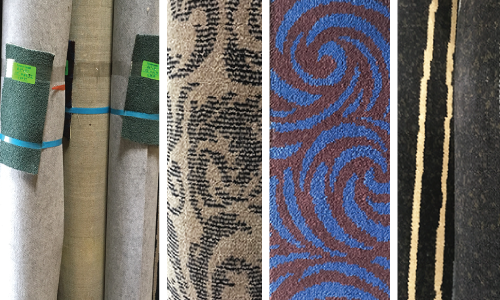 This is a large quantity of high quality carpeting in a variety of solids and patterns. Priced as marked. Come and get yours while supplies last! Did you know that we also sell items online – including vintage tile? All proceeds help us continue to lift up local communities through reuse. Find vintage decor, bathroom fixtures, machinery, commercial items, and more in our eBay store; vintage hardware and decor in our Etsy store; and high-end furniture in our Chairish store.